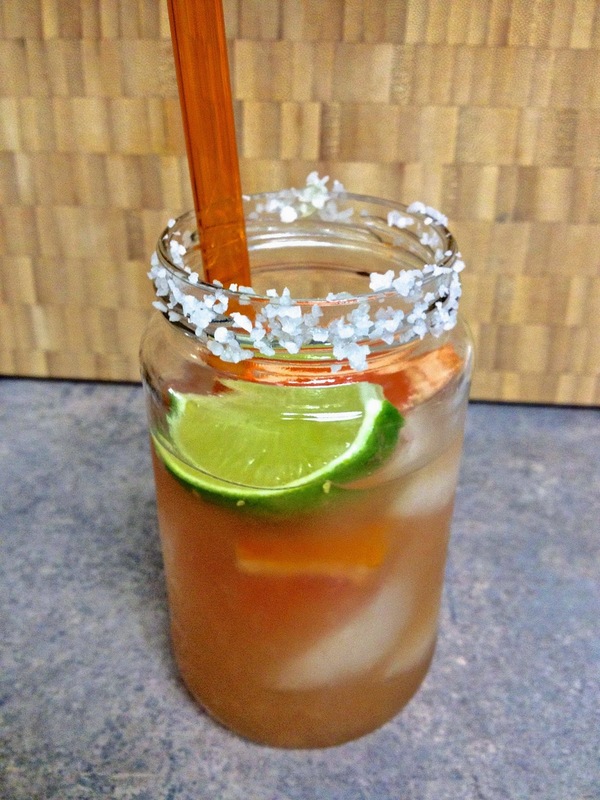 Recipe is just like my Agave Margarita, with the addition of grapefruit. Pour kosher salt into a small dish. Rub 1 lime slice over half the rim of a glass. Dip rim of glass into salt. Combine juiced grapefruit and lime, tequila and agave syrup in a cocktail shaker; fill with ice and shake well.